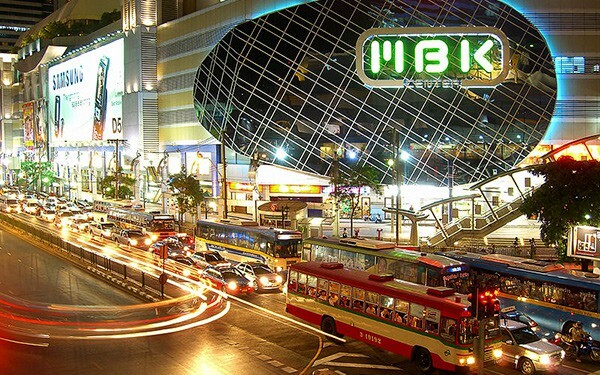 Ah, MBK Center: the central Bangkok mall beloved by tourists and even a few locals for its huge, market-style layout and hustle and bustle. The glittering, technicolor expanse of the MBK mall is home to a place where you really can — and probably will — shop till you drop. 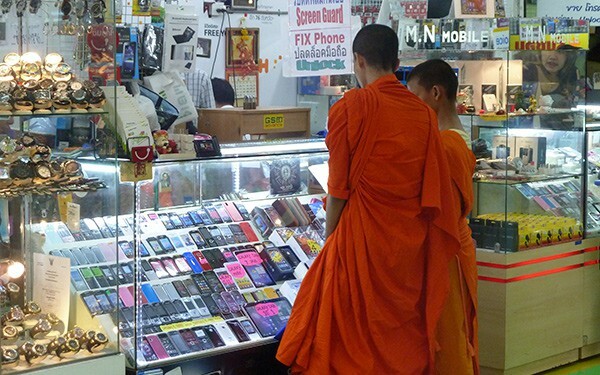 But shopping bargains galore aren’t the only thing that draws the crowds to this mecca of merchandise – MBK Bangkok also boasts a massively popular international food court offering myriad mouth-watering delights. Inside MBK are seven floors crammed with commodities soaring skyward. There are over 2,000 shops and stalls here, with products of all kinds to entice you to spend, spend, spend. The 8th floor boasts a state of the art cinema, bowling and karaoke complex too, providing you with enough amusement to keep you entertained well into the evening. 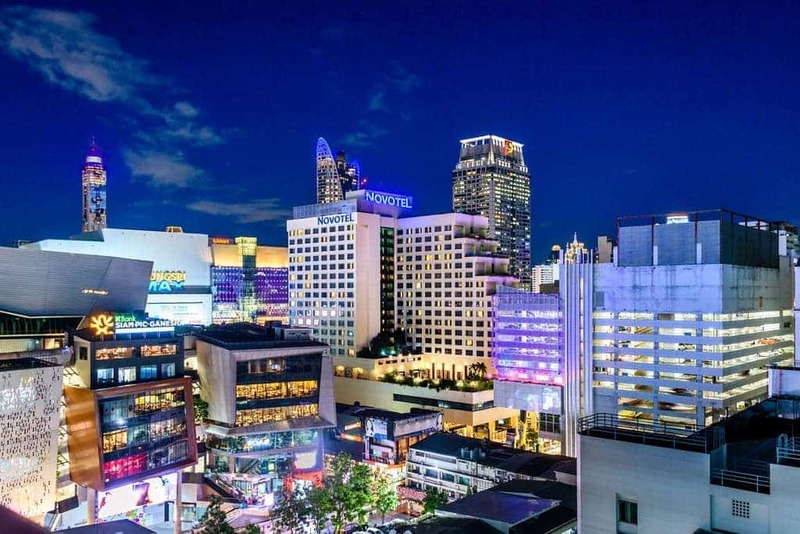 Getting to MBK Bangkok is pretty easy: you can either take the Silom line of the BTS to National Stadium and connect to the mall via the walkway, or alight from the Sukhumvit line of the BTS at Siam and take a stroll through Siam Square to reach the shopping centre instead. If public transport isn’t your style, you could hop in a taxi that will take you right to the door – but be aware that traffic in this area can be particularly congested. There are often lots of lurking tuk-tuks ready to pick you up outside once you’re finished — but be prepared to negotiate for a fair price! Opening hours are 10am to 10pm every day. MBK Center has the same energetic and chaotic vibe as Bangkok’s multitude of street markets, but the breezy air conditioned environment makes this a much more refreshing shopping experience. 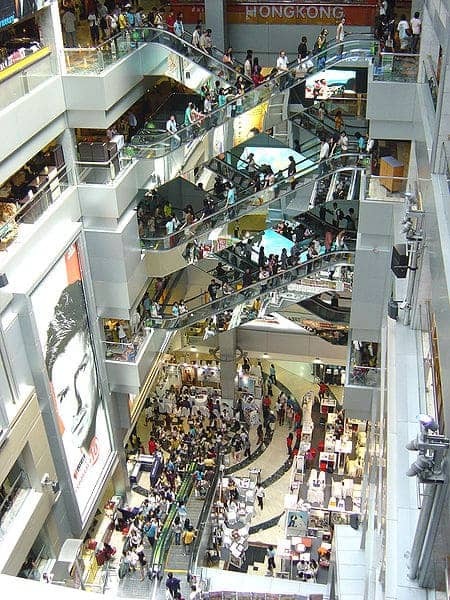 The many floors are filled with fashion, shoes, jewellery, accessories, and beauty products, and most sellers carry stock in larger sizes to suit western tourists. Everything — including genuine brand fashions, independent up and coming local clothing designers, and cheeky imitation and slogan designs — can be found here at bargain prices. 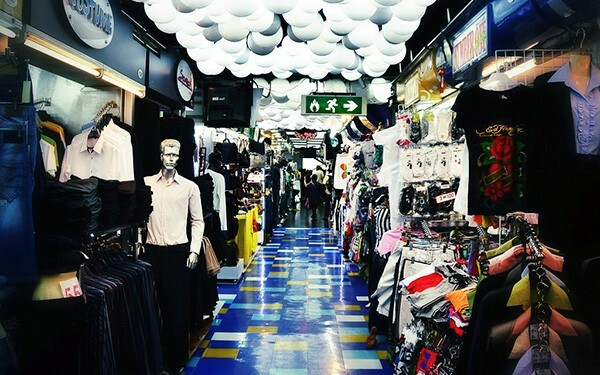 Many shops have permanent sale discounts and wholesale prices, and although this is a shopping mall and not a market, haggling to get the best price is expected — and fun. Fashions are generally found on the lower floors, but there’s not a great deal of organization here and shops are often jumbled up together, so it’s a case of keeping your eyes peeled to spot the stalls that take your interest in amongst the rest. Endless high tech electronic devices both new and old such as mobile phones, DVDs, cameras, consoles and games, stereos and MP3 players can be found here too, with most of these being situated on the fourth floor. If you’re seeking souvenirs and gifts, there’s an excellent selection of traditional Thai arts and handicrafts on the sixth floor. Watches and an assortment of gold and silver jewellery is mostly found on the second floor. The fifth floor is where you’ll find some fabulous home furnishings. It’s also on this floor that you can stop for a breather, give your body a break from all that shopping activity and refuel at the MBK international food court. 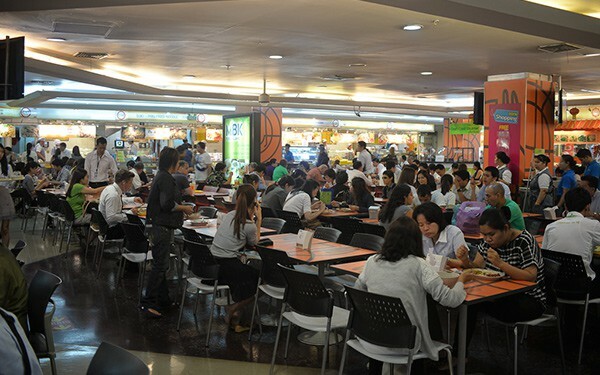 The international food court is one of the most popular aspects of MBK, and is regularly packed out with tourists indulging in a variety of cuisines. 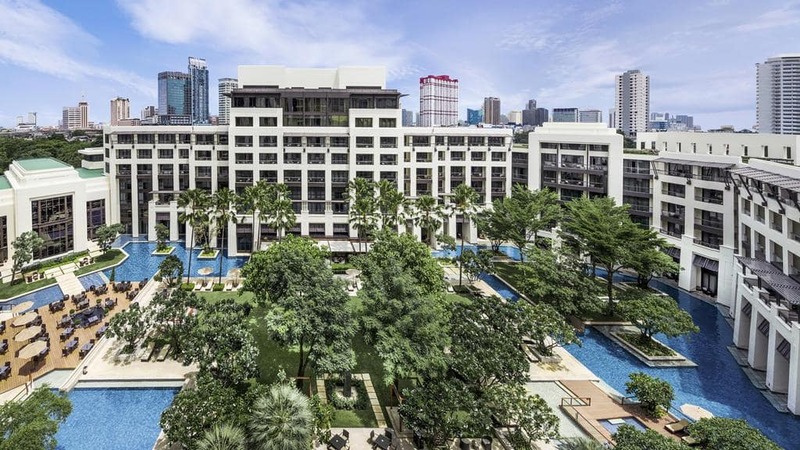 Although some locals and expats can be snobbish about the food court here, quality is generally good as the stalls are occupied by established and popular Bangkok-based restaurants. Prices are reasonably for international food although expensive compared to the Terminal 21 food court. Occasionally, there’ll be some live music on offer to entertain diners as they munch. The super convenient principle of the MBK food court is this: when you first enter you get a swipe card which you then use at as many different food stalls as you want. Everything that you happily munch your way through will be totaled up as you go, meaning that you only have to pay once when you leave. MBK Mall’s fifth floor food hall (aka THE FIFTH food avenue) is huge. There is enough seating for 500 people and the food choices are truly international. 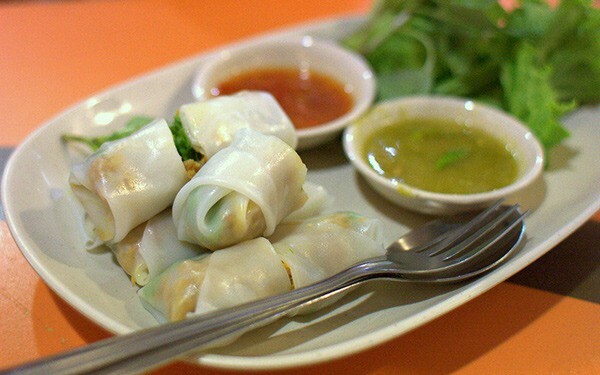 Un-pop that top button and indulge yourself with a culinary journey around the world with cuisines from Thailand, Italy, Japan, India, Vietnam, Mexico, Greece and North Africa — plus excellent vegetarian and seafood options and some fantastic fusion food. And there’s more good news – the gourmet experience doesn’t stop there. There is a second food hall on the sixth floor (MBK Food Island), stuffed with tasty Thai street food and traditional dishes that are guaranteed to tantalize your tastebuds if you fancy something more local in flavour. There are tons of plus points to a shopping experience at MBK Mall. With a cinema and other entertainments, excellent dining options, and an endless variety of shopping possibilities under one cool, air conditioned roof, it makes for an incredibly diverse and entertaining day out — and all in one handy location. Of course it helps that the wares on offer are ridiculously affordable, and we love that fact that you can haggle with vendors to get even crazier prices just like in a regular Bangkok street market. Getting here is easy too, which means getting back to your hotel with your haul is going to be relatively hassle free. This place gets busy – in fact at weekends it’s positively heaving with tourists and locals alike. It’s best to get here during the week or early in the morning if you prefer a more relaxed experience. 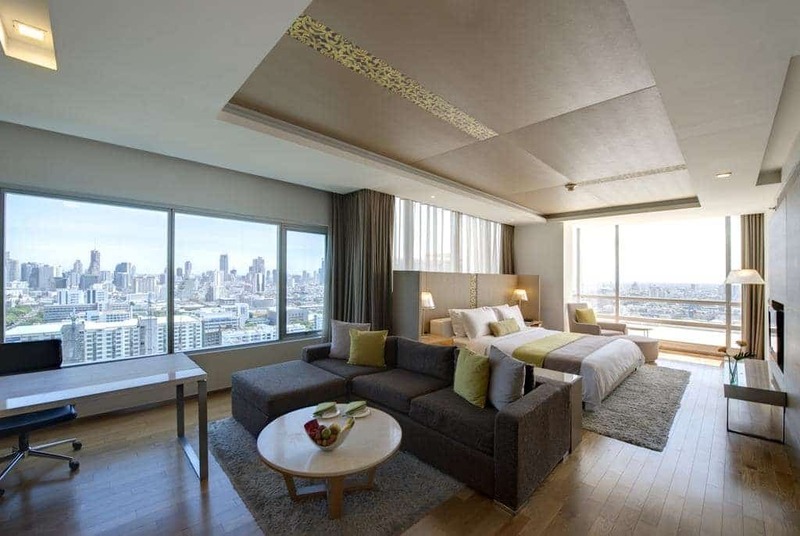 The layout can be confusing at times too, but this is par for the course with most markets in Bangkok. Beware of cheap ‘designer brand’ items that claim to be the genuine article but are in fact cheap reproductions. Always check the quality of stitching and materials before you commit to buy, and remember that if the price is too good to be true — it’s almost certainly a fake. Have you been shopping at MBK Center?